Sony’s exclusives are strong, and the PlayStation 4 sequel to its popular LittleBigPlanet series is no exception. The platformer doesn’t stretch itself far from its winning formula, but it does add enough to make this game feel like it’s a new experience, and the ramshackle, crafty aesthetic looks great on next-gen hardware. Overall, this is a solid addition to the PlayStation 4 software library, and the user-generated content angle of the game feels more inclusive than ever. LittleBigPlanet has always been focused on building the experience by adding to what the world around you could do, and what was possible with the tools available for level and game creation. This time, the developers have also paid attention to outfitting you, the player, with additional abilities that you can use in-game to interact with those level and game world building blocks. There are now special tools available to your Sackperson, as well as three entirely new characters you can use instead of your basic stuffed protagonist to navigate the levels, both original and home-made. This sequel includes a pocket for your character, as opposed to the creator’s pocket that’s been around since the beginning. This lets you carry an inventory, which includes boots for high jumping, a helmet for zip lining, and a vacuum/air blaster for manipulating certain objects. These allow you to navigate the environment in a way that’s fundamentally different from previous versions of the game, keeping things fresh despite the fact that the basics, including physics and your existing ability to push/pull, run jump etc. are all pretty much unchanged. The tools make for some interesting gameplay changes, and add some great ‘Eureka’ moments when you figure out how to use each upon playing through past levels to reach previously impossible levels, but the real rejuvenation of the basic story gameplay mechanics comes from the new characters. There are three in total, including the speedy, jump-happy Oddsock, the heavy/light shapeshifter Toggle, and the flying Swoop. Each of these new characters makes playing LittleBigPlanet a whole new kind of experience. Oddsock, minus his ability to hold and interact with tools, feels like the Sackperson you always wanted – he can jump farther and land with more accuracy than your basic character, and he’s much faster, plus he can wall jump. But his presence also makes clear why the existing Sackperson is limited in the ways that he is – many of the game’s challenges lose their thrilling edge in the face of Oddsock’s enhanced maneuverability. Likewise, the other characters at times feel like ‘cheats’ of sorts, but LittleBigPlanet 3 does a good job overall of creatively enabling blocks that mean you can’t lean too heavily on any one single character to make your way through the single player campaign. It’s hard for a game to selectively give powers and then take them away, but Sumo Digital have done well in their judicious use of these abilities, and in not making you feel deficient when they’re unavailable. For all the emphasis LittleBigPlanet games put on your ability to create new worlds and build custom game experiences of basically any sort you can imagine, the core story mode of the titles is always the first thing I run to try out. In LittleBigPlanet 3, the game’s consistent mix of fun and frustrating gameplay, which is made even better when you have between one and three additional players over for local co-operative fun, means it follows in the footsteps of previous installments in this regard. 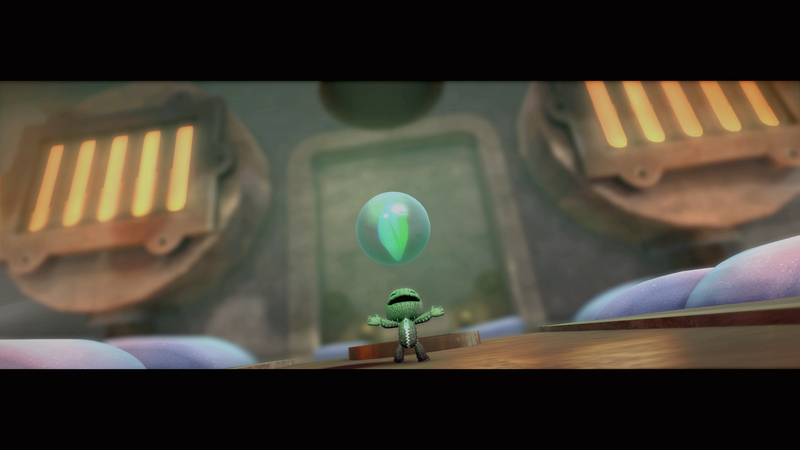 LBP3 will provide hours of entertainment to players regardless of whether or not they’re interested in the user-generated content aspects of the franchise, in part because of the new elements I described above, and in part because the story is fresh, fun, lightweight and full of colourful and entertaining characters. Great voice acting, from talents including Stephen Fry and Hugh Laurie, and Peter Serafinowicz make for fantastic cutscenes out of a game that oozes unique narrative appeal. Story mode is made better because it features ample side quests to enjoy in order to unlock new outfits, as well as plenty of replayability once you’ve unlocked new gadgets, gizmos and characters to use. New ‘Collectibells’ offer even more incentive for the completest, and can be used to purchase new clothing from an in-game merchant for you characters. 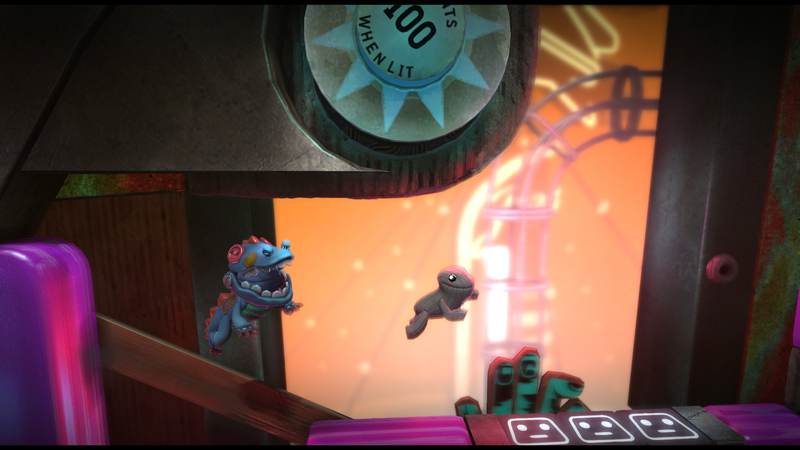 LittleBigPlanet 3 was among the first console games to bring the users in as co-creators, building levels from the tools the developers themselves have access to. It’s a fun and inspiring addition to a basic platformer, but in the past it has also proven something that’s extremely hard to get into, since building your own levels requires incredible patience, and a knack for basic programmatic logic (even if the programming is happening behind the scenes as you build). This time around, there’s a new “challenge” line of missions for the various creator tools, which slowly introduce you to the basics, and more advanced features of building with story-style missions and clear tutorials. These help acclimate a user without overwhelming them, and should get more on board with the creation aspects of the game. While it didn’t completely ease my apprehension around the scale and magnitude of LBP’s creative tools, it did make me curious to explore more, and I admit that in previous iterations of that game I’ve found that curiosity conspicuously absent. 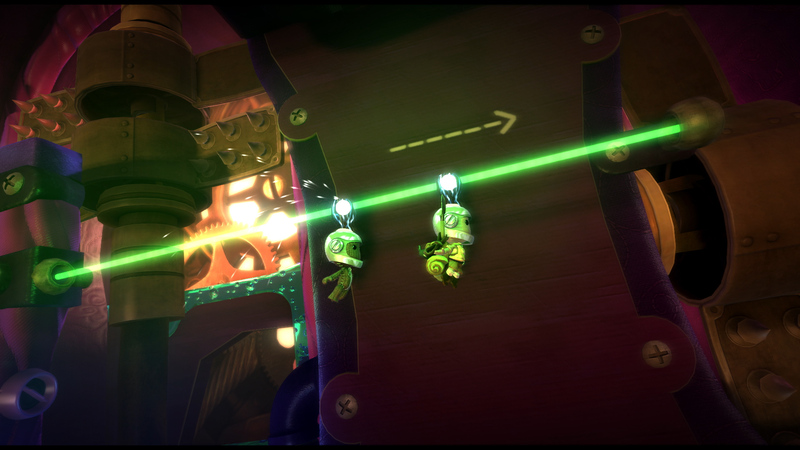 Sumo Digital has also gone out of its way to make sure that the past creative efforts of those who have toiled in the LBP create mode would not go to waste – every level ever created for the series is compatible with the new game. That means, however, that some things don’t translate entirely perfectly, but that’s actually in keeping with the somewhat ramshackle overall aesthetic of LittleBigPlanet itself, and players who like mucking around in the Wild West of the UGC levels probably won’t mind a touch of jankiness. 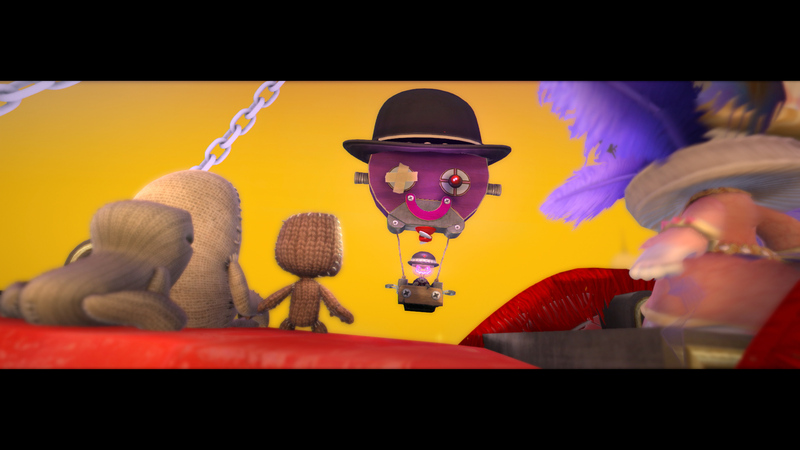 LittleBigPlanet 3 is a game that ups the ante in terms of the series’ solid platforming fundamentals, producing a genuinely fun story mode that can be enjoyed by up to four players at the same time locally – it’s hard to underestimate the value of that, given that most titles these days force you online for multiplayer fun. It has endearing characters, with novel and thrilling designs, and excellently conceived and crafted levels. 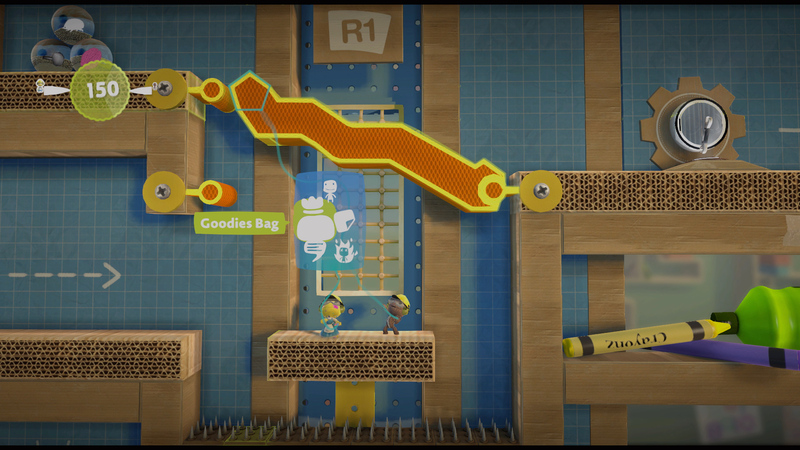 If you’re looking for a playground to explore, LBP3 has that too. But the beauty of this game is that it stands solid without that, for those of us who sadly lack the time and inclination to work on our game development skills in our spare time.